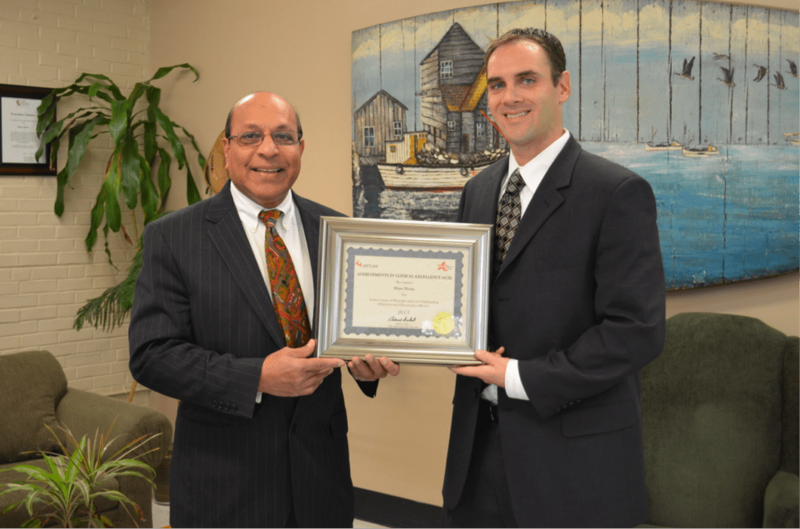 Left to Right – Peter D’Souza, Executive Director, Hope House Treatment Centers, Crownsville, MD and Laurel, MD being presented honored by Mathew D. Wolf, Optum. With the continuing escalation of costs and the myriad issues surrounding the delivery of health care, it seldom seems there’s a positive story about health care that is news worthy. But one local mental health facility has been recognized for delivering highly effective inpatient care while doing so in a cost-efficient manner that is having a great impact benefitting patients. Hope House Treatment Center, located in Crownsville, MD and Laurel, MD has recently been awarded the Platinum designation by Optum, formerly known as United Behavioral Health, for the remarkable work the facility does within the community working with those battling the disease of addiction. Hope House Treatment Center was bestowed the Platinum distinction based on clinical data collected by Optum over the course of an entire year. Optum looked at specific criteria, such as readmission rates and average length of inpatient stay, and compared the Hope House Treatment Center’s data to that of other regionally-based facilities. Of the several key data points examined, Hope House exceeded all.